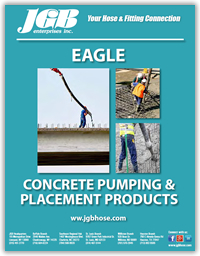 JGB is proud to present our Eaglecrete® Line of Concrete Placement Hose. JGB’s Eaglecrete® Concrete Placement Hose is designed and manufactured to stand up to the most abrasive applications and our lines of Material Handling hoses are designed and manufactured to stand up to the most abrasive materials, from sand, shot, dry cement, gravel, seed, lime, animal feed, or even mild chemicals, agricultural sprays, and hot air. 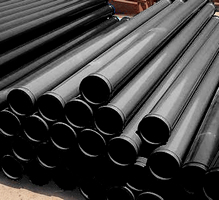 For excellent abrasion resistant capability, our tube materials include natural rubber, EPDM, and an SBR/NBR blends. Covers are made of SBR, EPDM, and PVC to stand up to rough treatment as well as UV and ozone exposure. 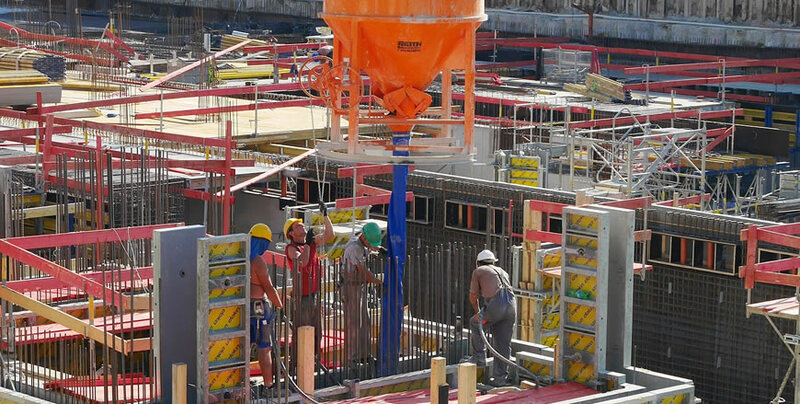 For use in plaster and grout and shotcrete applications, handling a multitude of materials being pumped to concrete structures, dams, tunnel faces, swimming pools, etc. For use as a flexible connection between pumping equipment and hard piping. For handling wet concrete with high head pressures at the critical flex areas of a concrete boom truck and as a discharge hose on the delivery end of high pressure concrete pumps. 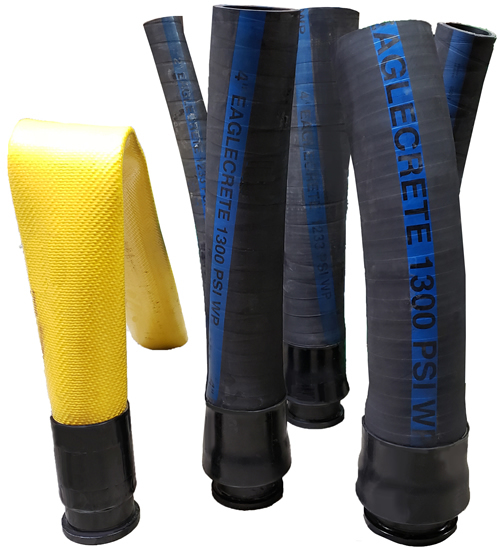 JGB Enterprises Eagle FlexCrete Hose is a new alternative in the concrete placement industry. The Eagle FlexCrete Hose answers an industry need for a concrete placement hose that handles easily while placing ICF forms as well as tall walls and columns where space is limited. The Eagle FlexCrete Hose's lay flat construction allows better flow control & lower placement rates than standard boom tip hoses. JGB Enterprises Eagle FlexCrete Hose is lightweight, easy to maneuver, and tough as the concrete you’re putting down! This Concrete Placement Hose was designed as heavy duty air hose for use in mines, construction and industrial applications where maximum service is required. This Concrete Placement Hose is an excellent hose for the industrial, rental and construction industries. JGB offers high-quality Boom Pipe / Deck Pipe for Concrete Placement and Concrete Pumps. Boom Pipe / Deck Pipe designed and manufactured to stand up to the most abrasive applications and harshest weather conditions. Sold in various sizes and lengths. 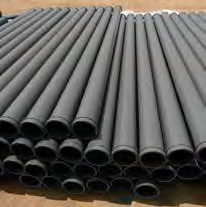 Slick Line Pipe for Concrete Placement is welded or seamless steel tubing connected together at joints resulting in a horizontal or vertical pumping system. Slick Line Pipes are provided in straight 10-foot lengths in various diameters from 2 to 6 inches. Slick Line Pipe is manufactured from top grade high-carbon content steel tubing unlike ordinary pipestock. Spiral plied high strength wire. Black Plioflex® rubber (Wrapped impression). Continuous spiral brand example: "Allcrete® Steel reinforced concrete hose by Goodyear". Continuous spiral brand example: "Allcrete® Textile Reinforced Plaster, Grout, Concrete by Goodyear"